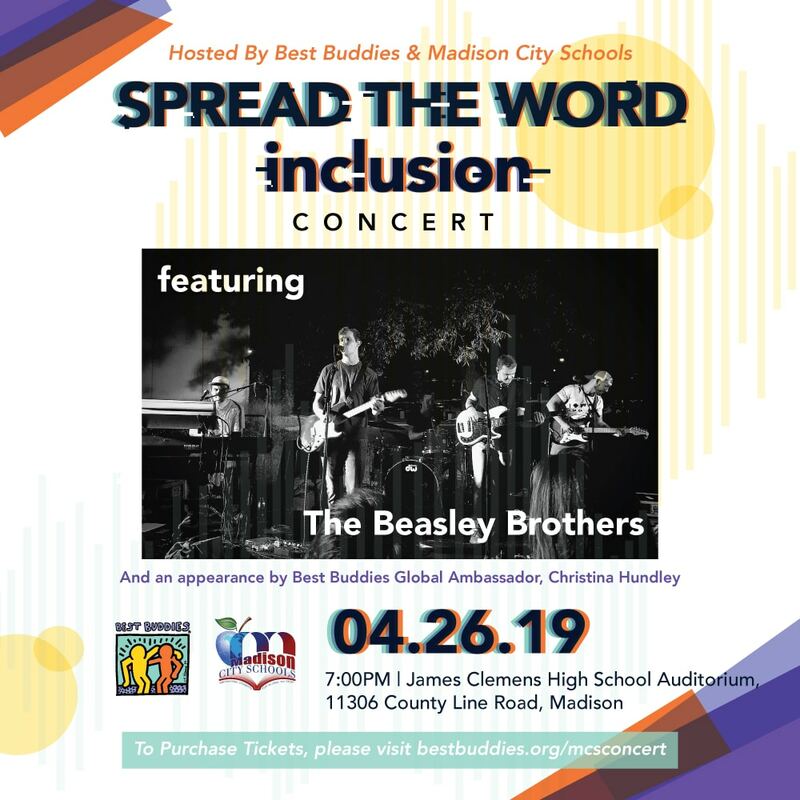 Join Best Buddies and our local chapters in Madison City Schools for a fun night of live music and entertainment featuring local artists, the Beasley Brothers, and Best Buddies Global Ambassador Christina Hundley! The concert will focus on the mission of Best Buddies and showcase the amazing movement that the students and faculty within Madison City Schools have become a part of. Get your tickets now and we’ll see you on April 26!